Tourists from emerging markets are traveling the world in increasing numbers and they are increasingly spending more than other nationalities when they do. How is the tourist industry responding to this – and what impact will it have? Since 2012 Chinese tourists have overtaken their American and German counterparts as the highest spenders when vacationing and sightseeing overseas. While China is not the only emerging market sending increasing numbers of tourists abroad, they are doing so in vast numbers. In 1998 only 8m Chinese took trips abroad; this year it’s thought 100m will do so. It isn’t just the Chinese that have the tourist industry excited. Other travelers from the BRIC countries are overtaking tourists from developed markets in terms of spending power. In recent times, tourists from established markets such as France and Italy don’t seem to have significantly increased their expenditure while vacationing. These tourists are now falling behind those from emerging markets such as Brazil when it comes to spending power and influence on their destinations. It isn’t just the BRIC countries that are seeing more of the world. In Britain, visitor numbers are growing most quickly from emerging markets such as Argentina, Hungary and Egypt. But in terms of both visitor numbers and collective spending power, tourists from these smaller countries aren’t able to have the same impact on their destinations as the mass tourism outflux from the populous BRIC countries. So how are tourist destinations responding to the new visitors? Tourist organizations such as the US Travel Association are particularly keen to welcome Chinese visitors, who spend on average over $7k per person when visiting the US compared with the $4,500 spend by other foreign tourists. Organizations such as state tourism departments, hoteliers and tour guides are exploring ways to reach Chinese consumers; from promoting their brand to tour operators at Chinese travel trade shows to training their staff in language and cultural skills. In the States, major hoteliers including Marriott and Hilton have reviewed their web offerings and customer contact strategies to cater to speakers of Chinese languages. But this isn’t all they offer – the hotel chains are providing home comforts such as rice porridge on its breakfast menu and familiar teas in the rooms. The Marriott chain chose to charm their guests with auspicious numbers – putting eight chocolate coins into a small bag to welcome visitors from China. In the UK, Harrods has installed special China Union pay terminals and trained staff the right way to handle credit card (reverently, and with both hands outstretched). Is it set to continue? Some of the rise in visitors can be explained by fluctuations in currency exchange markets. Overall however, it seems this growth in emerging market tourist activity is generally set to continue. The US expects the numbers of Brazilian tourists to rise over 80% by 2017. China’s president has said that he expects 500 million Chinese citizens to make outbound trips in the next five years, which may be a conservative estimate. It’s hard to entirely predict the exact numbers vacationing abroad, as tourist activity tends to be linked to the economic situation back at home. For this reason, tourist bodies are wise not to over-invest in one particular nationality. With economic uncertainty in places like Russia, and diplomatic tensions often expressed via visa arrangements, it’s hard to predict how the flow of tourists from that region will fare over the next few years. Keen to welcome high-spending tourists, countries such as Britain and the States are relaxing tourist visa requirements for countries like Brazil and China and businesses are making long-term changes to how they welcome particular nationalities. Some of this business activity also comes from the emerging markets themselves: Chinese investors have made significant purchases in the hotel industry. Over the next 3 years six hotels will open in London that are owned by Hong Kong or PRC investors. What do they spend money on? The trend of emerging market consumers splashing out in shops continues to hold to some extent. Harrods says it has seen a rise in sales of luxury brand such as Louis Vuitton and electronics to Brazilian tourists. It’s responding by recruiting more Portuguese speakers to cater for the increasing proportion of sales growth it sees from Latin America. There have been reports of London’s high-end retailers being badly affected by the recent decline in the number of Russian visitors. Exane BNP Paribas have identified high-end menswear as being the sector most at risk. All the more reason for the luxury stores to target other BRIC tourists. But even this may not be a sustainable strategy. There’s some evidence that Chinese consumers are becoming less interested in luxury good than they used to be. Last year tax-refund claims by Chinese tourists grew by 18%, a slow-down on the previous year’s growth of 57%. It’s also the case that many popular brands are available at home: Burberry plans to open a number of stores across China this year. This could account for a declining spend in such shops overseas. Other activities such as medical tourism, university tours, golf and wine tasting are now being suggested as ways to appeal to Chinese tourists. 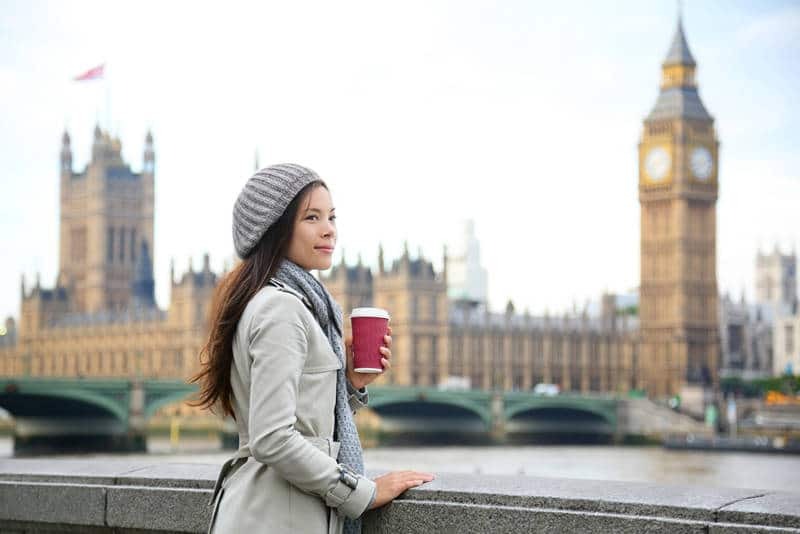 As for Brazilians, visitors to UK tend to be young and frequently travelling alone. Many bars in big cities like London are starting to cater to their entertainment needs. There’s always a risk of trying to cater to one group at the expense of another. At Harrods, some customers of longstanding were upset by the closure of the music department in favour of more room for designer handbags and furniture. It was very much felt that this move was intended to cater for the new profile of visitor to the department store. It’s advisable for tourist industries not to put all their eggs in one basket: sudden changes in visa arrangements or the exchange rate can make significant differences to the amount of tourists of any nationality travelling to one particular destination. This effect was especially striking when the situation in Ukraine affected the numbers of Russian visitors to London; impacting on the luxury good industry that had come accustomed to this spending power.